By Marshall Matz and Nina Fedoroff - The new study on genetically engineered (GE) crops now being conducted by the National Academy of Sciences (NAS), Board on Agriculture and Natural Resources, deserves your attention. It has the potential to impact the agriculture economy, food prices and global food security. While President Obama has spoken clearly on the importance of biotechnology and GE, the public, many in Congress and in the State Houses are once again questioning the safety, acceptability and necessity of GE crops. Hence the opinion of the NAS is very important. There have been several open meetings to date, the most recent having taken place 15-16 January (http://nas-sites.org/publicinterfaces/gmointerfaces/). The public meetings are webcast live and recorded versions are accessible at this link: http://nas-sites.org/ge-crops/. The next meeting in March will examine food safety. “Examine the history of the development and introduction of GE crops in the United States and internationally, including GE crops that were not commercialized, and the experiences of developers and producers of GE crops in different countries. “Assess the evidence for purported negative effects of GE crops and their accompanying technologies, such as poor yields, deleterious effects on human and animal health, increased use of pesticides and herbicides, the creation of “super-weeds,” reduced genetic diversity, fewer seed choices for producers, and negative impacts on farmers in developing countries and on producers of non-GE crops, and others, as appropriate. “Assess the evidence for purported benefits of GE crops and their accompanying technologies, such as reductions in pesticide use, reduced soil loss and better water quality through synergy with no-till cultivation practices, reduced crop loss from pests and weeds, increased flexibility and time for producers, reduced spoilage and mycotoxin contamination, better nutritional value potential, improved resistance to drought and salinity, and others, as appropriate. The study is being conducted by the National Research Council (NRC), the operating arm of the NAS, a private, nonprofit institution chartered by Congress to provide science, technology, and health policy advice to the government. 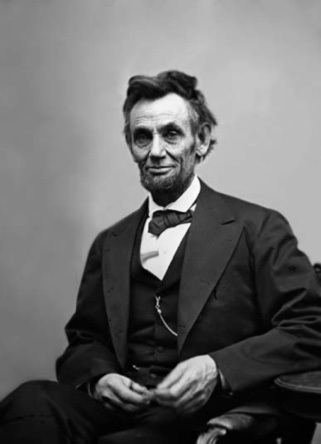 The NAS Act of Incorporation was signed by President Abraham Lincoln on March 3, 1863 with 50 charter members. President Lincoln created USDA and the land grant universities the previous year, 1862. While GE technology is not a magic bullet in the fight for global food security, it is a critical component, along with improved hybrid seeds, modern irrigation, mechanization, crop loss technology, fertilizers and communication devices. Perhaps most important of all are extension services that can deliver these technologies to smallholder farmers. The NAS study deserves your attention and input. The study has the potential to be quite important in the current debate on GMO’s and the public’s confidence in the integrity of GE technology. Marshall Matz, formerly Counsel to the Senate Committee on Agriculture, specializes in global food security at OFW Law. Dr. Nina Fedoroff, the former Science and Technology Adviser to the Secretary of State, is the Senior Science Advisor at OFW Law.